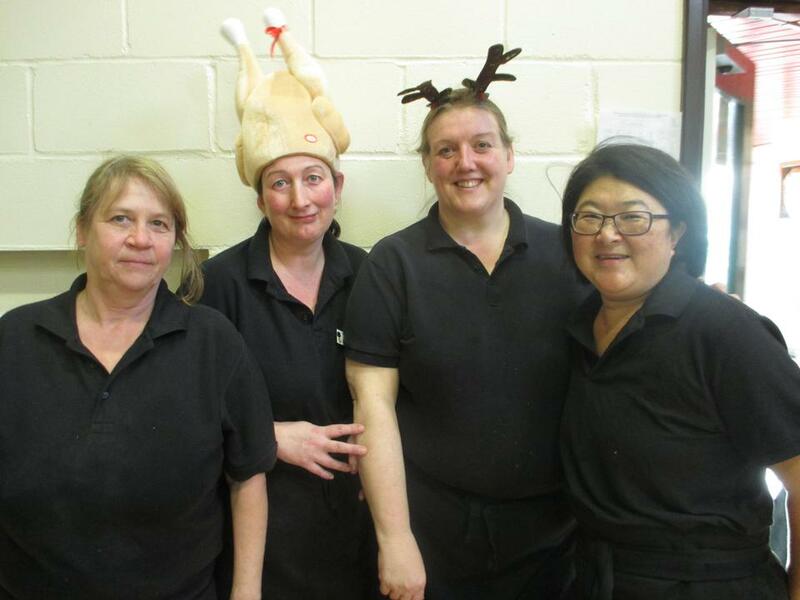 The fantastic catering team at Elsenham C of E Primary cooked up a treat for 230 at the annual Christmas lunch today. Teaching staff took on their yearly role of waiters and waitresses to serve all of the pupils with turkey or Quorn fillet and all the trimmings, before sitting with the children to enjoy their own. 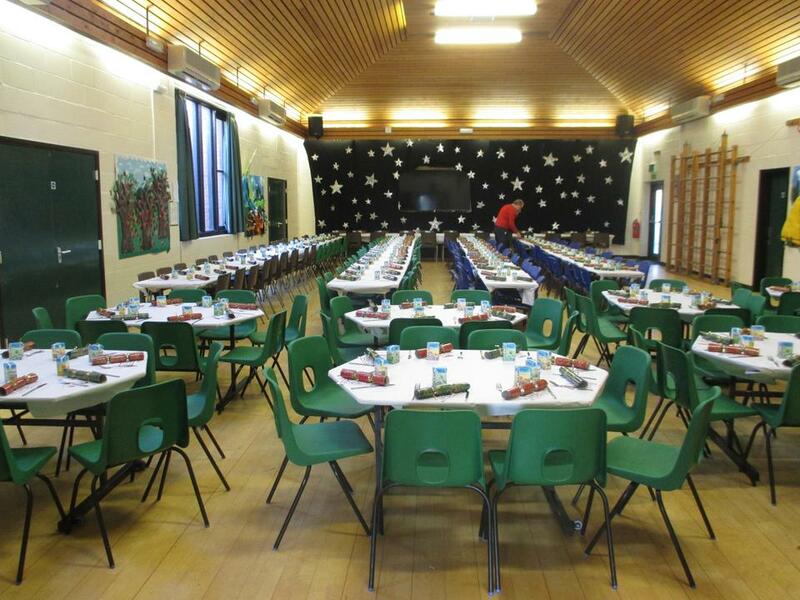 Time had been spent creating a festive hall, complete with crackers and homemade candle holders by Year 6, for everyone to enjoy eating together. 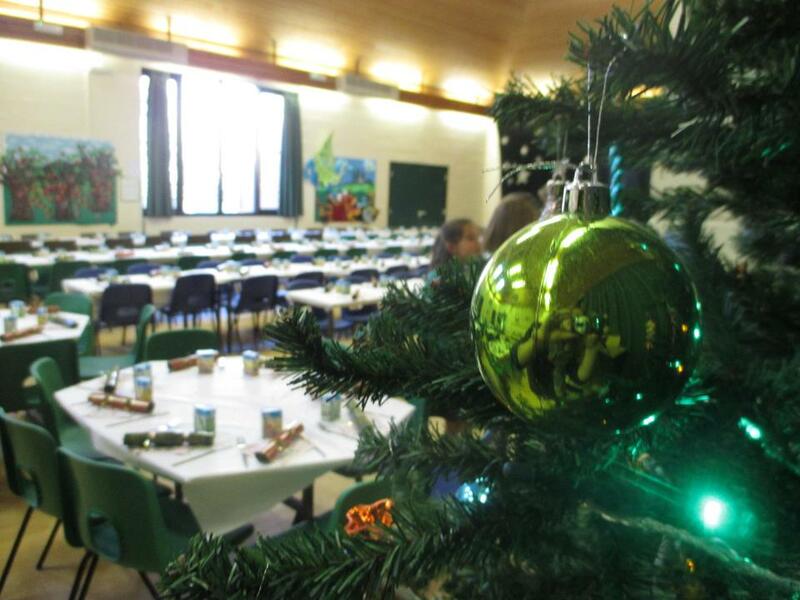 Headteacher Mrs Reid: “As ever, it was a fantastically festive occasion and wonderful to have everyone together in one place to celebrate the Christmas season.